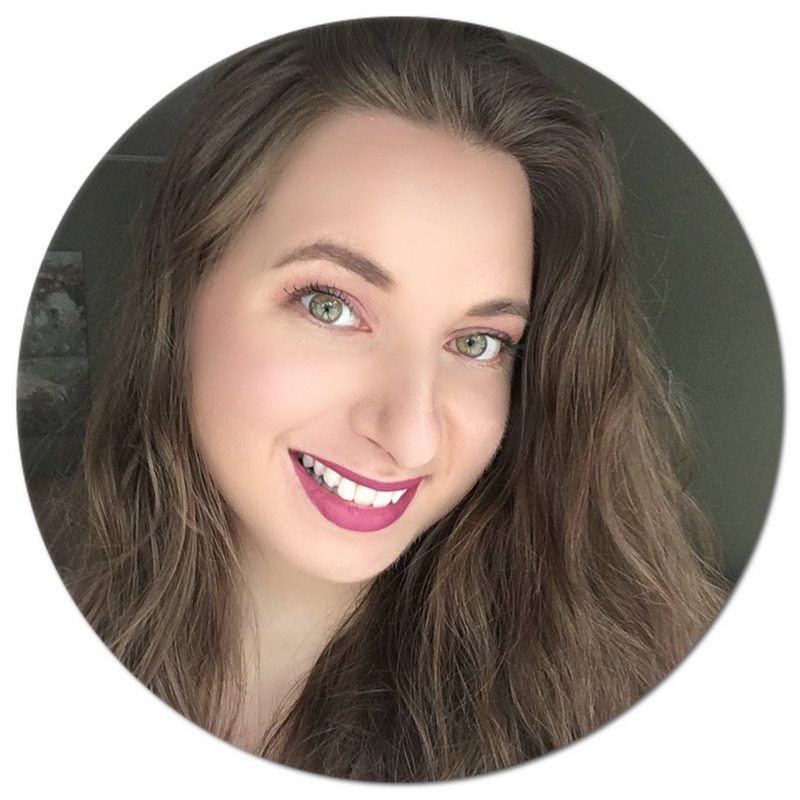 What I love so much about spring is the sense of renewal it comes with: it is a time for change, and one area where I of course like to switch things up is makeup! While I prefer wearing a neutral eye look and darker lips in the fall and winter, in the spring I like to bust out some brighter colours and make things a little more fun! 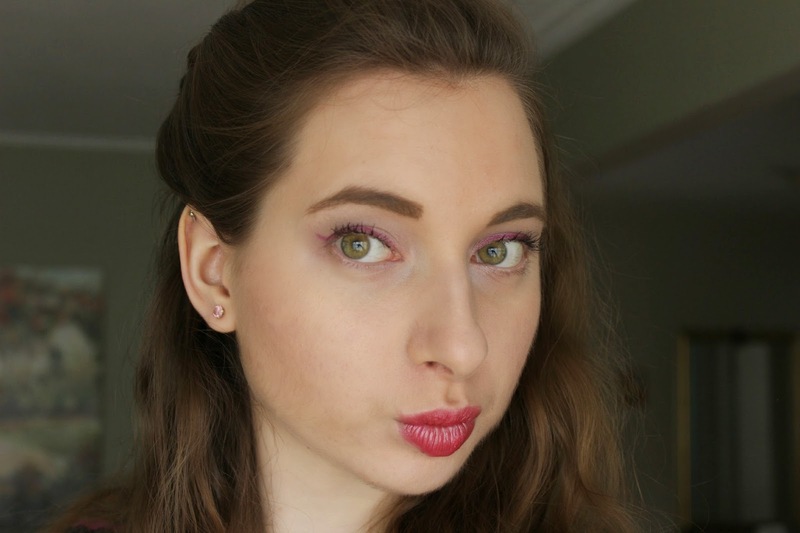 I wanted to share with you how I came up with this very simple makeup look where I focused the attention on the eyes by adding a pop of purple, and also playing up the lips with a bright pink lipstick. 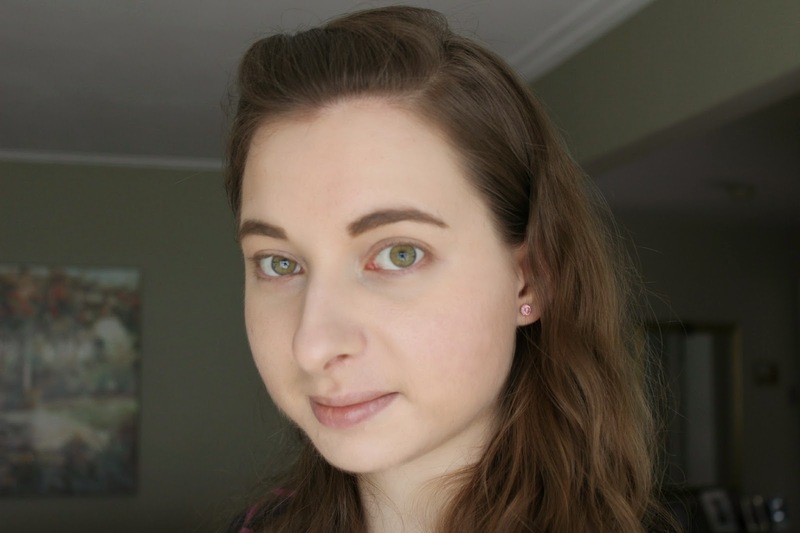 For this #CollectiveBias shop, I headed to my local Jean Coutu drugstore and picked up a few Rimmel products from a large selection to create this look - not only does it require a minimal amount of products but it is also very easy to recreate and super wallet-friendly! 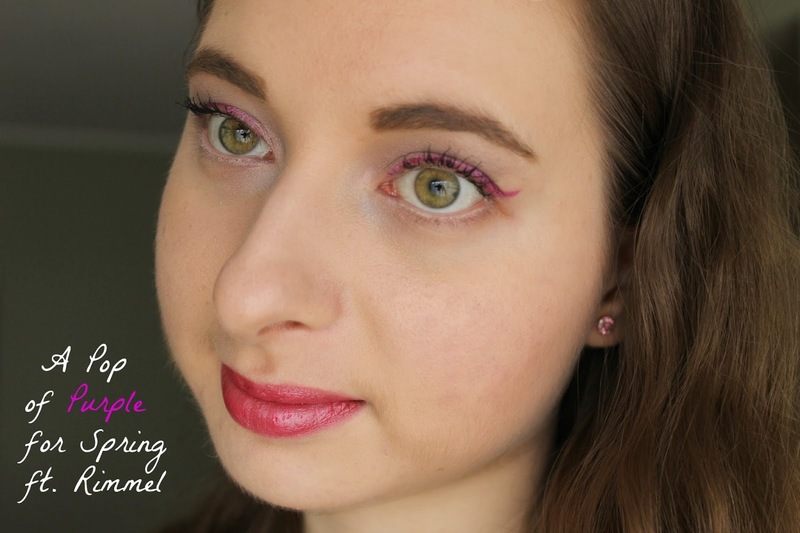 I have really been loving the Rimmel Wake Me Up Foundation, so of course I had to incorporate it into this tutorial. It leaves a subtle dewy finish which I really like since it makes my skin look nice and healthy. I also whipped out my Match Perfection Blush in Medium which I purchased last summer. It is a great multitasking product since you can swirl the brush around or use each shade separately as a blush or bronzer. 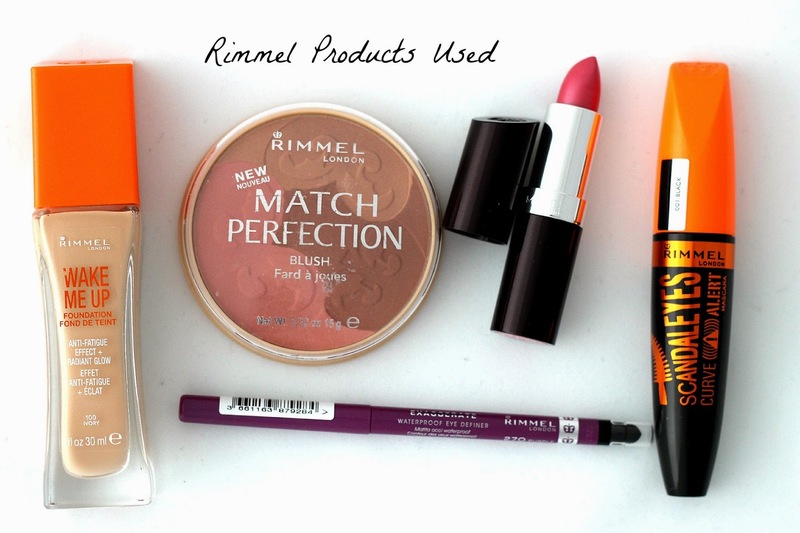 To complete my makeup look, I picked up the Rimmel Exaggerate Auto Waterproof Eye Definer in Purple Shock, the Scandaleyes Curve Alert Mascara in Black, and the Lasting Finish Lipstick in the shade Kiss. I first applied the Wake Me Up Foundation all over my face and down my jaw-line, and then very lightly applied a swirl of the Match Perfection Blush. I decided to skip on highlighter since the foundation provides a nice glow on its own. 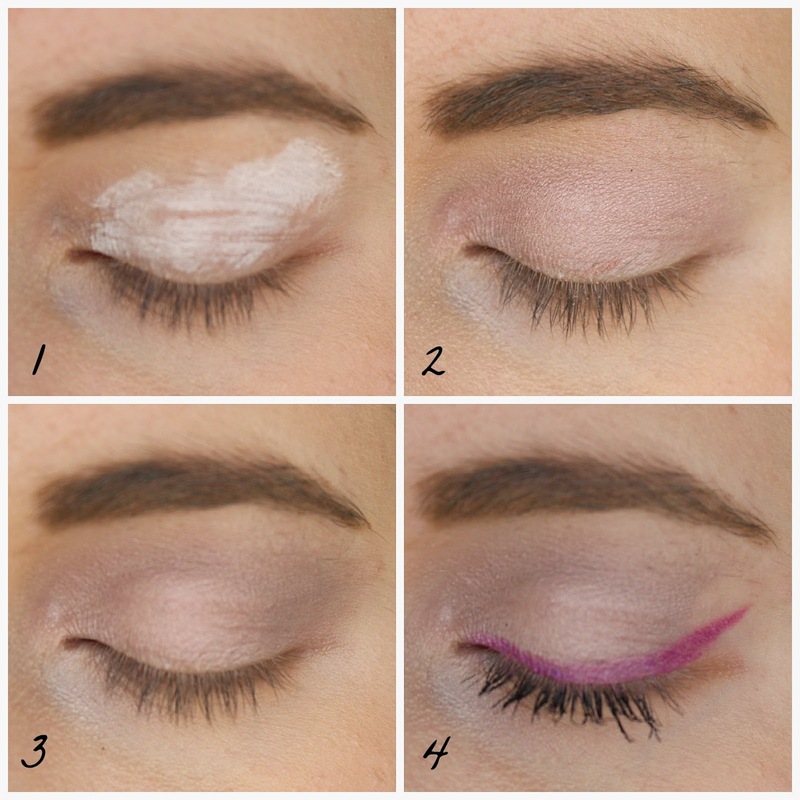 For the eyes, I used a white base to make the shadows and eye liner stand out. I applied a shadow slightly more pink than my natural skin tone, and then blended a grey shadow lightly into my crease to give my eyes more depth and make them look rounder. I then drew on a winged line, and since the Purple Shock eye liner has a creamy texture, I could easily use an angled eye liner brush to achieve the perfect flick. I also curled my lashes and added a couple of coats of the Scandaleyes Curve Alert Mascara. Last but not least, I finished off the look by applying the Lasting Finish Lipstick in Kiss, which I was drawn to for its pretty sheen. 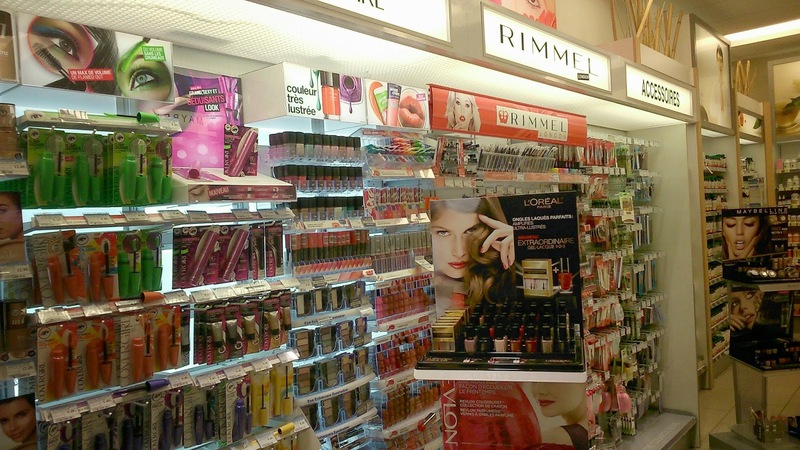 I was really impressed with all of these products, especially the eye definer as it did not budge throughout the day! And I just had to include a cheeky picture! Absolutely lovely! I'd totally wear this look! I'm a huge fan of purples and colored liner! That last picture is gorgeous! I quite like the lipstick despite it being a tad frosty! I love the pop of purple but I am a bit bias since purple is my favorite color lol. 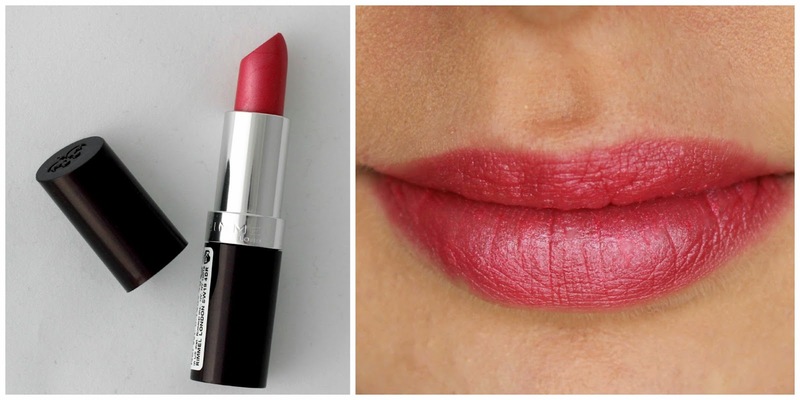 You look great and I love the lipstick you paired it with. It looks great. I love how bright the purple is. Visiting from Wake Up Wednesday Linky Party. Love everything about this look! 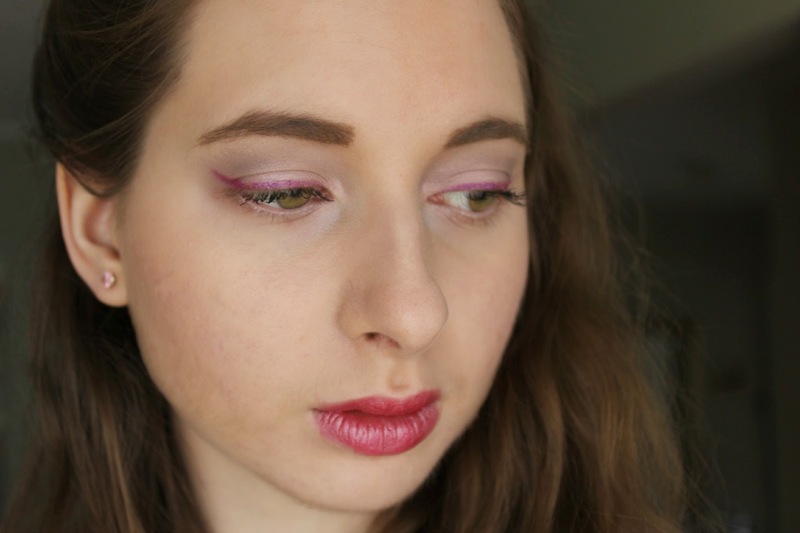 I've been trying to use the Maybelline colour tattoos as eyeliner (winged out, of course), but the texture of that is a bit difficult to work with as a liner. Really loving the purples on your eyes though, they go wonderfully with your eye colour. AND THAT LIPSTICK SHADE. I LIKE.